Figure 1. Leather shoe found at Birely Tannery in Frederick, Maryland. 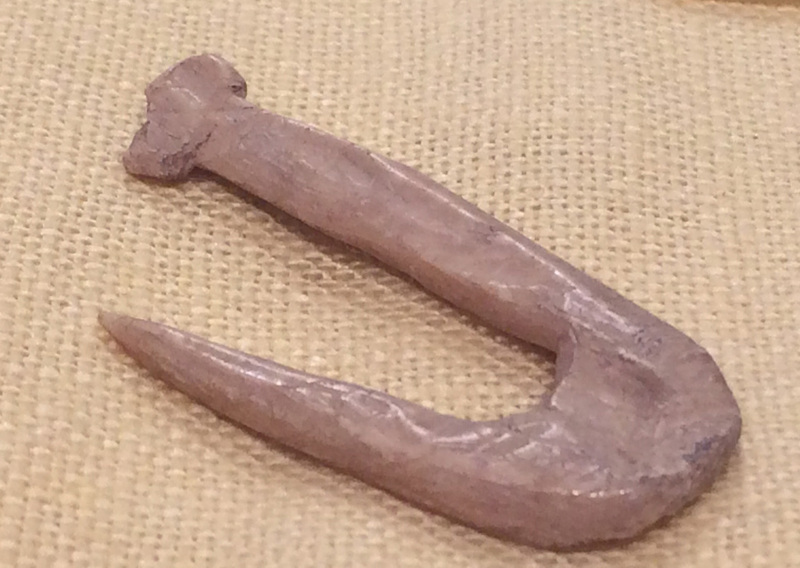 Researchers at the Colonial Williamsburg Foundation concluded that it was a slave shoe. Looking back at my blogs over the last three months, I have quite unintentionally fallen into theme-based posts. During the summer, I tended towards sports-related topics and in September and early October, it seemed my posts all had to do with education, as students made their way back to classes. I’m going to break out of that mold and explore a variety of topics over the next few months. 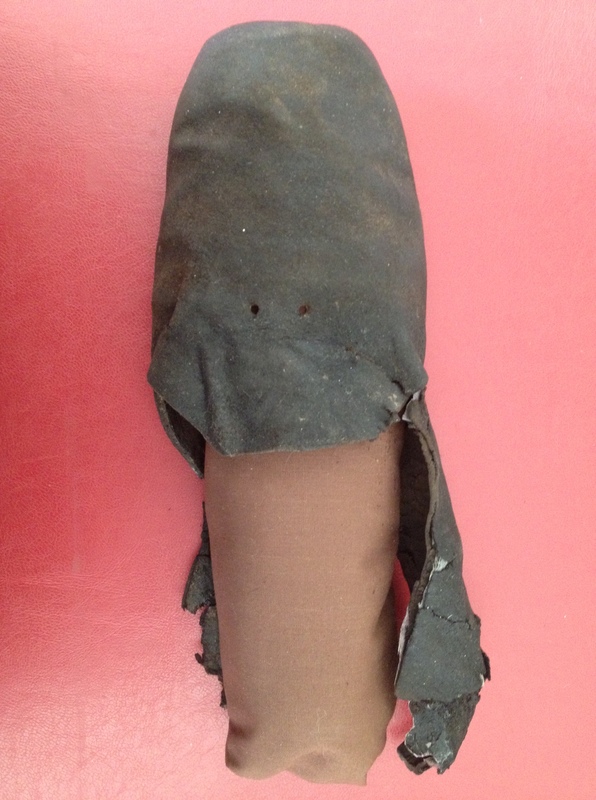 This week’s post begins with a leather shoe, deemed to have been made for a slave and found at the Birely Tannery site (18FR575) in Frederick County. This modest footwear will serve as a vehicle for examining the institution of slavery in our state. Most people are aware of the roles tobacco and other agricultural crops played in Maryland’s history. But I would wager that not nearly as many Marylanders know that the tanning of leather was second only to agriculture in economic importance in some parts of the state during the 18th and 19th centuries. In honor of that key role, I have chosen a tool used in the tanning industry as the starting point for this week’s blog on a trade that has all but disappeared from Maryland’s economy. Wooden handled fleshing knife found during excavations at Birely Tannery.